You might think that pregnancy would make it harder for these beautiful ladies to glam up on awards night, but this year, we learned what a gorgeous accessory a baby bump really can be! 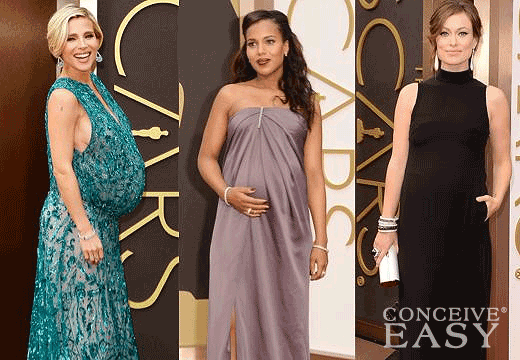 Read on for the scoop on the most beautiful pregnant stars at this year’s Oscars! Kerry has been the “it” girl of Hollywood, and has only become more so since announcing her pregnancy late last year. She looked adorable at the Oscars this year in a glamourous and flowy light purple Jason Wu gown, and sparkly Christian Louboutin heels. The Scandal actress announced that she and hubby Nnmandi Asomugha were expecting their first baby back in October of 2013, and Kerry has been having fun dressing up her growing bump ever since! 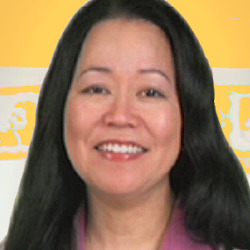 She does a fabulous job and shows all of us that you can look great all through pregnancy! She has always been a stunner, but actress Olivia Wilde is even more beautiful pregnant! The 29 year old actress absolutely glowed on the red carpet in a black Prada gown. This is the first baby for both Olivia and her hubby Jason Sudeikis. The funny lady had us all cracking up when she tweeted this on February 19: “Pic from my Oscar fitting”, along with a picture of Homer Simpson and his beer belly! Too funny! She also admitted post-Oscars that all she could think about was getting something to eat, as she hit up In-N-Out Burger’s drive thru with her hubby. “Post Oscars fancy feast. This man is our hero,” she tweeted with a picture of Jason grabbing their order from the drive thru window. So cute! The gorgeous 37 year old “Fast and The Furious: 6” star did not disappoint on the red carpet when she showed up with her gorgeous bump covered in a turquoise Ellie Saab sequined gown that hugged her belly snugly. Chris Hemsworth’s beautiful wife proved that even when you’re expecting twins, you can be stylish and beautiful! The couple will have three children once their twins arrive, as they are already parents to almost 2 year old India Rose. They are a gorgeous couple, and we can’t wait to see their three gorgeous little ones following them around soon! Congrats to all the gorgeous pregnant ladies who attended the Oscars this year, you all looked beautiful and we wish you lots of luck with your new addtions!